In my previous post, I shared my favorite shot from last weekend at the Rose Garden. I thought for my Pixel Perfect entry, that I’d share my editing steps with you. To be honest, this isn’t the best example because my SOOC was pretty decent (in my opinion). I shoot in full manual…RAW, so it requires that I send every photo through Adobe Camera Raw (ACR). For those of you that don’t have ACR, it’s the light version of Light Room (or at least that’s my understanding). If you have Photoshop Elements, you already have ACR. You can either shoot RAW and open your photos up directly in ACR or if you shoot JPG, you can select open as and choose to open your files as camera raw. Anyways, in ACR I don’t think I did anything with the exception of brightening and adding contrast. I then brought it over to PSE7. I’ve gotten to where I use Amy McMaster’s Squeaky Clean on every photo. Essentially, I adjust the levels, add a little more saturation, apply noiseware (if needed) to clean up the photo. In a number of cases, this is all that’s required. But I’m a photoshop whore, so I can never stop. Finally, I wanted to try out a new texture from Paint the Moon – Timeworn Soft. 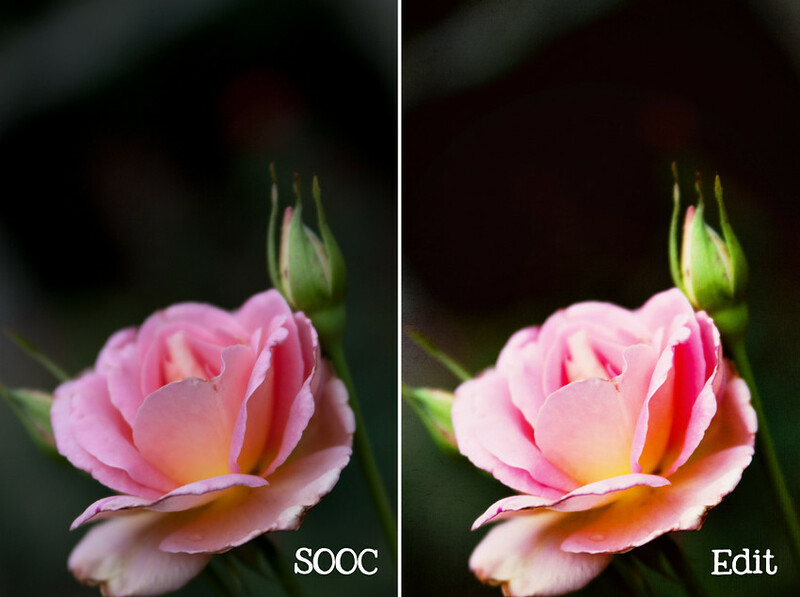 I set it to soft light at 35% opacity. I merged my layers and finalized by resizing and sharpening for the web. By the way, if you’re stopping by my blog for the first time, I love to help others with my regular Before and After posts. If you have a favorite photo you’d like me to edit for you, just use my Contact Me form and attach your photos. When I’m done, I’ll post my results, share my steps and send you the large file (that hasn’t been resized and sharpened for the web).